Amphetamine, (±)-1-phenyl-2-aminopropane (Benzedrine), as the racemic mixture has a higher proportion of cardiovascular effects than the dextro isomer. For most medical uses, the dextrorotatory isomer is preferred. Dextroamphetamine, (+)-(s)-methylphenethylamine, forms salts with sulfuric acid (Dexedrine) and with phosphoric acids. The phosphate is the more water-soluble salt and is preferred if parenteral administration is required. The dextrorotatory isomer has the (S) configuration and fewer cardiovascular effects than the levorotatory (r)-isomer. Additionally, it may be up to 10 times as potent as the (r)-isomer as an alerting agent and about twice as potent a psychotomimetic agent. Although it is a more potent psychotomimetic agent than the (r)-isomer, it has a better ratio of alerting to psychotomimetic effects. The major mode of action of dextroamphetamine is release of NE from the mobile pool of the nerve terminal. Other mechanisms, such as inhibition of uptake, may make a small contribution to the overall effects. The alerting actions relate to increased NE available to interact with postsynaptic receptors (a1). Central jS-receptor activation has classically been considered the basis for most of the anorexiant effect. The psychotomimetic effects are linked to release of DA and activation of postsynaptic receptors. D2 and mesolimbic D3 receptors would be involved. Effects on 5-HT systems also have been linked to some behavioral effects of dex-troamphetamine. Effects via 5-HT receptors would include 5-HT1A receptors and, theoretically, all additional receptors through 5-HT7. Dextroamphetamine is a strongly basic amine, with values from 9.77 to 9.94 reported. Absorption from the gastrointestinal tract occurs as the lipid-soluble amine. The drug is not extensively protein bound. Varying amounts of the drug are excreted intact under ordinary conditions. The amount is insignificant under conditions of alkaline urine. Under conditions producing systemic acidosis, 60% to 70% of the drug can be excreted unchanged. This fact can be used to advantage in treating drug overdose. The a-methyl group retards, but does not terminate, metabolism by MAO. Under most conditions, the bulk of a dose of dextroamphetamine is metabolized by N-dealkylation to phenylacetone and ammonia. Phenylacetone is degraded further to benzoic acid. Methamphetamine, (+ )-1-phenyl-2-methylaminopropane hydrochloride desoxyephedrine hydrochloride (Desoxyn), is the N-methyl analog of dextroamphetamine. It has more marked central and less peripheral action than dextroam-phetamine. It has a very high abuse potential, and by the intravenous route, its salts are known as "speed." The overall abuse problem presented by the drug is a national disaster. Medicinally acceptable uses of methamphetamine are analogous to those of dextroamphetamine. The free base is a,a-dimethylphenethylamine, 1-phenyl-2-methylaminopropane. In the resin preparation (Ionamin), the base is bound with an ion-exchange resin to yield a slow-release product; the hydrochloride (Wilpowr) is a water-soluble salt. Phentermine has a quaternary carbon atom with one methyl oriented like the methyl of (s)-amphetamine and one methyl oriented like the methyl of (r)-amphetamine, and it reportedly has pharmacological properties of both the (r)-and (s)-isomers of amphetamine. The compound is used as an appetite suppressant and is a Schedule IV agent, indicating less abuse potential than dextroamphetamine. Benzphetamine hydrochloride, ( + )-n-benzyl-n,a-di-methylphenethylamine hydrochloride, (+)-1-phenyl-2-(n-methyl-n-benzylamine)propane hydrochloride (Didrex), is n-benzyl-substituted methamphetamine. The large (benzyl) n-substituent decreases excitatory properties, in keeping with the general structure-activity relationship (SAR) for the group. Anorexiant properties are retained. Classically, amphetamine-like drugs with larger than n-methyl sub-stituents are cited as anorexiant through central f-agonism. No claims for selectivity among f-receptor subtypes have been made in such citations. The compound shares mecha-nism-of-action characteristics with methylphenidate. Overall, it is said to reduce appetite with fewer CNS excitatory effects than dextroamphetamine. Because it has two large (relative to H or methyl) n-alkyl substituents, diethylpropion hydrochloride, 1-phenyl-2-di-ethylaminopropan-1-one hydrochloride (Tenuate, Tepanil), has fewer sympathomimetic, cardiovascular, and CNS-stimulatory effects than amphetamine. It is reportedly an anorexiant agent that can be used for the treatment of obesity in patients with hypertension and cardiovascular disease. According to the generalization long used for this group of drugs, increasing n-alkyl size reduces central a1 effects and increases ff effects, even though the effects are likely mediated principally by indirect NE release. Fenfluramine hydrochloride, (±)n-ethyl-a-methyl-m-(tri-fluoromethyl)phenethylamine hydrochloride (Pondimin), is unique in this group of drugs, in that it tends to produce sedation rather than excitation. Effects are said to be mediated principally by central serotoninergic, rather than central noradrenergic, mechanisms. In large doses in experimental animals, the drug is a serotonin neurotoxin.15 It was withdrawn from human use after reports of heart valve damage and pulmonary hypertension. From its structure, more apolar or hydrophobic character than amphetamine, tropism for serotoninergic neurons would be expected. Likewise, the structure suggests an indirect mechanism. If an indirect mechanism were operative, then all postsynaptic 5-HT re ceptors could be activated. Evidence from several studies indicates that the 5-HT1B and the 5-HT2C receptors are most responsible for the satiety effects of 5-HT. 5-HT may also influence the type of food selected (e.g., lower-fat food intake).11 The (+) isomer, dexfenfluramine (Redux), has a greater tropism for 5-HT systems than the racemic mixture. It, too, was withdrawn because of toxicity. Because methylphenidate (Ritalin) has two asymmetric centers, there are four possible isomers. The threo race-mate is the marketed compound and is about 400 times as potent as the erythro racemate.17 The absolute configuration of each of the threo--methylphenidate isomers has been determined.18 Considering that the structure is fairly complex (relative to amphetamine), it is likely that one of the two components of the threo racemate contains most of the activity. Evidence indicates that the ( + ) -(2r,2r) threo isomer is involved principally in the behavioral and pressor effects of the racemate.19 As is likely with many central psychomotor stimulants, there are multiple modes of action. Methylphenidate, probably largely via its ^-hydroxy metabolite, blocks NE reuptake, acts as a postsynaptic agonist, depletes the same NE pools as reserpine, and has effects on dopaminergic systems, such as blocking DA reuptake. Methylphenidate is an ester drug with interesting pharmacokinetic properties arising from its structure. The pKa values are 8.5 and 8.8. The protonated form in the stomach reportedly resists ester hydrolysis. Absorption of the intact drug is very good. After absorption from the gastrointestinal tract, however, 80% to 90% of the drug is hydrolyzed rapidly to inactive ritalinic acid.20 (The extent of hydrolysis may be about five times that for (+) versus ( — ).21) Another 2% to 5% of the racemate is oxidized by liver microsomes to the inactive cyclic amide. About 4% of a dose of the race-mate reportedly reaches the brain in experimental animals and there is p-hydroxylated to yield the putative active metabolite. Methylphenidate is a potent CNS stimulant. Indications include narcolepsy and attention-deficit disorder. The structure of the (2r,2r) isomer of the threo racemic mixture is shown. Pemoline, 2-amino-5-phenyl-4(5h)-oxazolone (Cylert), has a unique structure. The compound is described as having an overall effect on the CNS like that of methylphenidate. Pemoline requires 3 to 4 weeks of administration, however, to take effect. 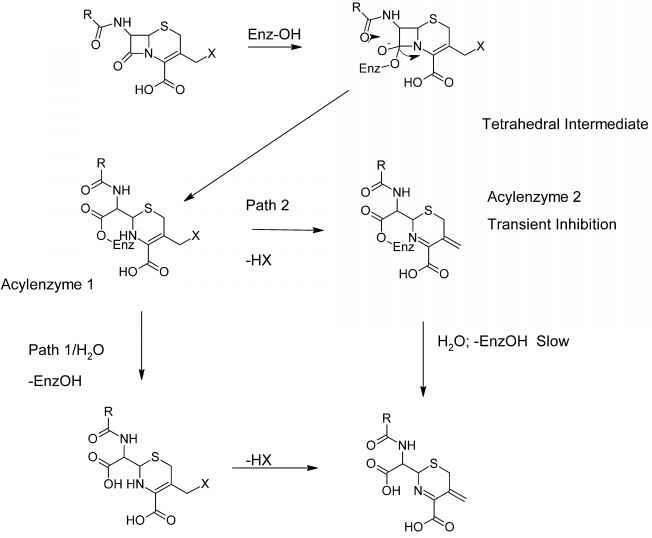 A partial explanation for the delayed effect may be that one of the actions of the agent, as observed in rats, is to increase the rate of synthesis of DA. Antidepressant therapy usually implies therapy directed against major depressive disorders of the unipolar type and is centered on three groups of chemical agents: the MAOIs, the monoamine reuptake inhibitors, and autoreceptor desen-sitizers and antagonists. Electroshock therapy is another option. The highest cure or remission rate is achieved with electroshock therapy. In some patients, especially those who are suicidal, this may be the preferred therapy. MAOIs and monoamine reuptake inhibitors have about the same response rate (60%-70%). In the United States, the latter group is usually chosen over MAOIs for antidepressant therapy. A key prescribing tenet is that if a member of the patient's family has been successfully treated with an antidepressant drug, then the patient will likely respond to that same drug. A severe problem associated with the MAOIs that has been a major factor in relegating them to second-line drug status is that the original compounds inhibit liver MAOs irreversibly in addition to brain MAOs, thereby allowing dietary pressor amines that normally would be inactivated to exert their effects systemically. Several severe hypertensive responses, some fatal, have followed ingestion of foods high in pressor amines. It was hoped that the development of agents such as selegiline that presumably spare liver MAO might solve this problem. The approach of using MAO selectivity did solve the hypertensive problem, but the compound was not an antidepressant (it is useful in Parkinson disease). Another approach using a reversible MAOI has yielded antidepressants that lacked the hypertensive "cheese" effect. Another prominent side effect of MAOIs is orthostatic hypotension, said to arise from a block of NE released in the periphery. Actually, one MAOI, pargyline, was used clinically for its hypotensive action. Finally, some of the first compounds produced serious hepatotoxicity. Compounds available today reportedly are safer in this regard but suffer the stigma of association with the older compounds. The history of MAOI development illustrates the role of serendipity. Isoniazid is an effective antitubercular agent but is a very polar compound. To gain better penetration into the Mycobacterium tuberculosis organism, a more hydrophobic compound, isoniazid substituted with an iso-propyl group on the basic nitrogen (iproniazid), was designed and synthesized. It was introduced into clinical practice as an effective antitubercular agent. CNS stimulation was noted, however, and the drug was withdrawn. Later, it was determined in experimental animals and in vitro experiments with a purified MAO that MAO inhibition, resulting in higher synaptic levels of NE and 5-HT, could account for the CNS effects. 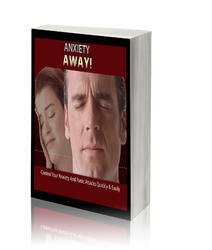 The compound was then reintroduced into therapy as an antidepressant agent. It stimulated an intense interest in hydrazines and hy-drazides as antidepressants and inaugurated effective drug treatment of depression.22 It continued to be used in therapy for several years but eventually was withdrawn because of hepatotoxicity. The present clinically useful irreversible inactivators can be considered mechanism-based inhibitors of MAO.23 They are converted by MAO to agents that inhibit the enzyme. They can form reactants that bond covalently with the enzyme or its cofactor. A consequence of irreversible inactivation is that the action of the agents may continue for up to 2 weeks after administration is discontinued. The delay is caused by the necessity of synthesizing new, active MAO to replace the covalently inactivated enzyme. Consequently, many drugs degraded by MAO or drugs that elevate levels of MAO substrates cannot be administered during that time. inhibition was almost always regarded as irreversible. From the beginning, however, it was known that it was possible to have agents that act exclusively by competitive enzyme inhibition. For example, it has long been known that the har-mala alkaloids harmine and harmaline act as CNS stimulants by competitive inhibition of MAO. Reversible (competitive) inhibitors selective for each of the two major MAO subtypes (A and B) are reportedly forthcoming. Moclobemide has received considerable attention abroad. A reversible inhibitor of MAO-A, it is considered an effective antidepressant and permits metabolism of dietary tyramine.24 Metabolites of the drug are implicated in the activity. Reversible inhibitors of MAO-A (RIMAs) reportedly are antidepressant without producing hypertensive crises. Reversible inhibitors of MAO-B have also been studied. Presently, selective MAO-B inhibition has failed to correlate positively with antidepressant activity; selegiline, however, has value in treating Parkinson disease. A transdermal patch (Emsam) is useful in the treatment of depression. The clinically useful MAOI antidepressants are nonselective between inhibiting metabolism of NE and 5-HT. Agents selective for a MAO that degrades 5-HT have been under study for some time. The structures of phenelzine and tranylcypromine are given in Table 15.4. Originally, the monoamine reuptake inhibitors were a group of closely related agents, the tricyclic antidepressants (TCAs), but now they are quite diverse chemically. Almost all of the agents block neuronal reuptake of NE or 5-HT or both (i.e., are selective). The SARs for the TCAs are compiled in detail in the eighth edition of this text.32 The interested reader is referred to this compilation. In summary, there is a large, bulky group encompassing two aromatic rings, preferably held in a skewed arrangement by a third central ring, and a three- or, sometimes, two-atom chain to an aliphatic amino group that is monomethyl or dimethyl substituted. The features can be visualized by consulting the structures of imipramine and desipramine as examples. The overall arrangement has features that approximate a fully extended trans conformation of the jS-arylamines. To relate these features to the mechanism of action, reuptake block, visualize that the basic arrangement is the same as that found in the jS-arylamines, plus an extra aryl bulky group that enhances affinity for the substrate-binding compartment of the transporter. The overall concept of a jS-arylamine-like system with added structural bulk, usually an aryl group, appears to be applicable to many newer compounds—selective serotonin reuptake inhibitors (SSRIs), selective norepinephrine reuptake inhibitors (SNERIs)—that do not have a tricyclic grouping. The TCAs are structurally related to each other and, consequently, possess related biological properties that can be summarized as characteristic of the group. The dimethyl-amino compounds tend to be sedative, whereas the monomethyl relatives tend to be stimulatory. The dimethyl compounds tend toward higher 5-HT to NE reuptake block ratios: in the monomethyl compounds, the proportion of NE uptake block tends to be higher and, in some cases, is considered selective NE reuptake. The compounds have anti-cholinergic properties, usually higher in the dimethylamino compounds. When treatment is begun with a dimethyl compound, a significant accumulation of the monomethyl compound develops as N-demethylation proceeds. The TCAs are extremely lipophilic and, accordingly, very highly tissue bound outside the CNS. Because they have anticholinergic and noradrenergic effects, both central and peripheral side effects are often unpleasant and sometimes dangerous. In overdose, the combination of effects, as well as a quinidine-like cardiac depressant effect, can be lethal. Overdose is complicated because the agents are so highly protein bound that dialysis is ineffective. 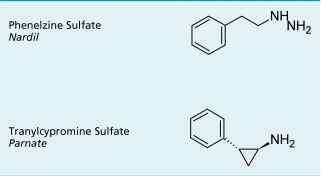 How to bond a methyl group to the amine carbon atom in dextroamphetamine?